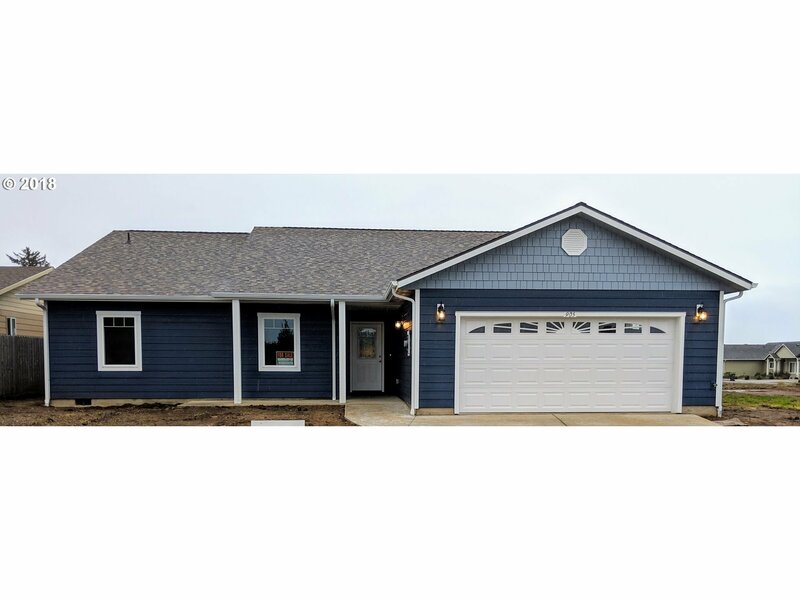 Airy Coastal Vibe 3-bed, 2 bath home a stones throw from gorgeous Oregon beach. Upscale, quiet neighborhood. Designed for your imprint, farmhouse, coastal, contemporary. Open concept living space, large kitchen, tall windows extending to covered patio. Painted upscale cabinets-off white & marine blue, seeded glass details, modern hardware. Granite and marble counter tops throughout. SS kitchen appliances. Master bath spa shower upgrade. Selling Office: Gold Coast Properties, Inc.